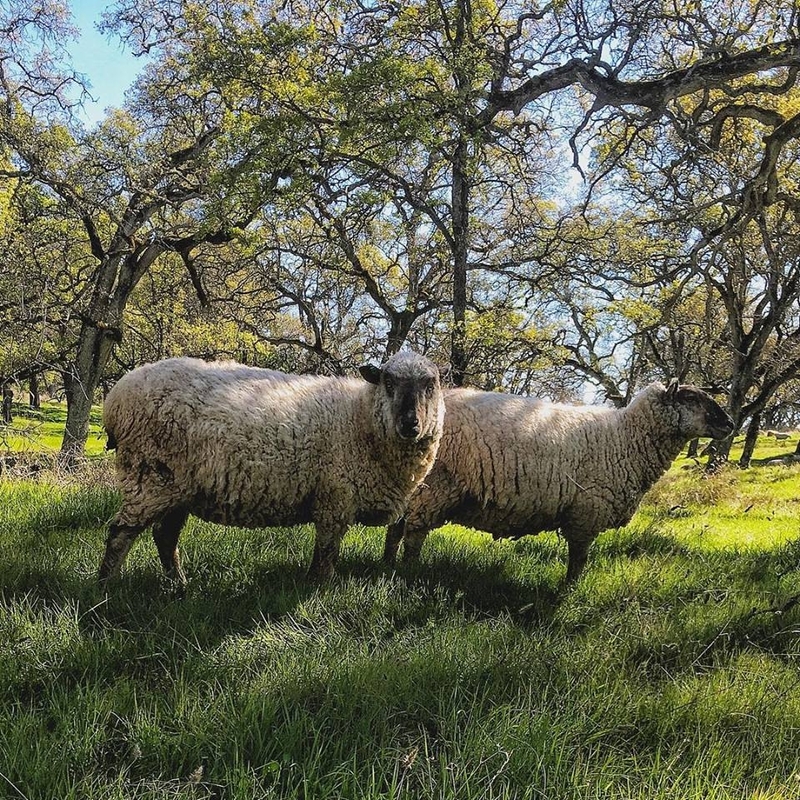 This two-day, hands-on grazing school will provide participants with practical, field-based experience in applying the principles of managed grazing on rangeland and irrigated pasture. 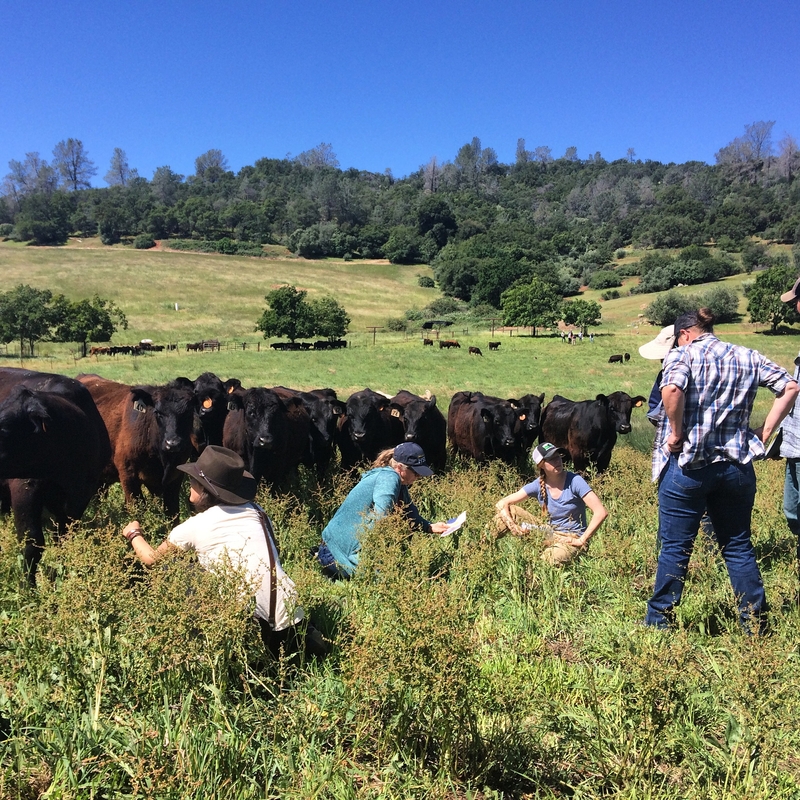 Working in teams, participants will learn about grazing planning, paddock design, range ecology, estimating carrying capacity, range ecology and monitoring, and drought planning. Cost: $180 (includes meals and course materials). No refunds - your payment guarantees your space! Hotels are available in Grass Valley and Marysville. Dormitory and camping spaces are available on a first-come-first-served basis at SFREC. February 2015 at SFREC - a dry start to the year. Researchers at the UC Sierra Foothill Research and Extension Center (SFREC) in Browns Valley have been collecting rangeland forage production data since 1979. As a rangeland geek, grazier, and now livestock farm advisor, I find it fascinating to look back at the tremendous variability in forage growth over the last 39 years - partly, I suppose, to help predict the short-term future (in other words, this year's spring growth). From a practical standpoint, I find this dataset helpful for grazing planning purposes, as well. Since the beginning, SFREC staff has noted germination dates for each year. 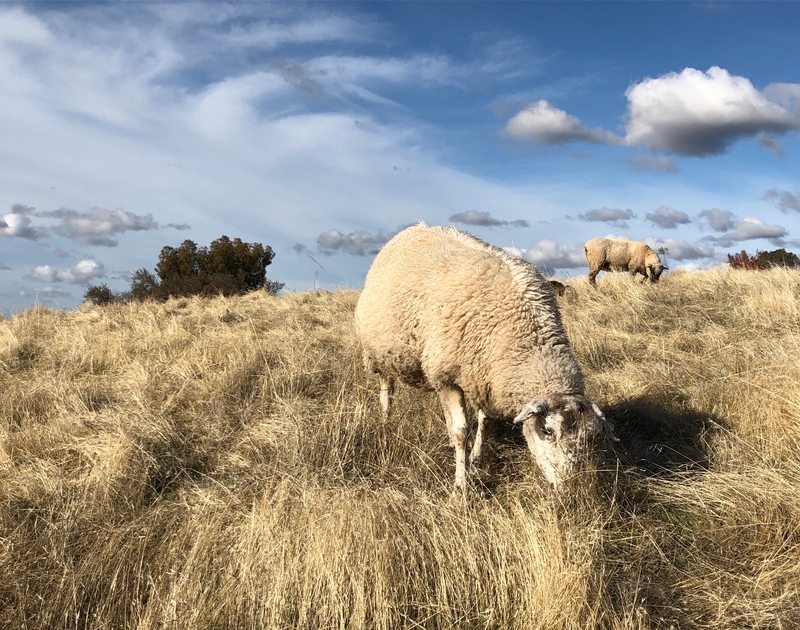 Since the mid 1990s, the staff has also measured total available rangeland forage on the first day of the month from December through peak standing crop (which generally occurs sometime in May or early June). The average germination date over that time is October 21 - although germination has occurred as early as September 2 (in 2000) and as late as December 12 (in 2002). Interestingly, total production was right at average in 2000-2001, while the much later germination year (2002-2003) produced 145% of normal forage. Timing of precipitation after germination seems to be a critical factor! As I said at the outset, annual rangeland forage production is incredibly variable. Total production over the last 39 years has ranged from 1,071 pounds of dry matter per acre in 1987-88 to 4,696 pounds per acre in 1992-93. Monthly production is also all over the board - on February 1, 2014, the crew measured just 98 pounds of dry matter per acre (average for the date is 533 pounds). I remember that February well - my family and I sold about a third of our commercial ewes because we simply didn't have enough grass. Forage production on annual rangeland, obviously, is tied to precipitation. The relationship, however, is complex. Total precipitation is probably not as important as the timing. Air and soil temperatures are also related to grass growth, as this year's numbers clearly demonstrate. Here in Auburn (and I suspect in Browns Valley), our seasonal rainfall has been up and down. We had good rains in November, a relatively dry and warm December, a wet and warm January, and through this week, a dry February. As of today, our precipitation is about 80 percent of normal for our part of the foothills. This year's February 1 forage production at SFREC was a whopping 957 pounds of dry matter per acre - nearly 180 percent of normal for the date. And to think that back in late December I was worried about having enough grass this spring! The timing of moisture also impacts the date at which we reach peak standing crop. With the dry weather and north wind we've had up until this week, I wondered if our annual grasses would mature earlier than normal. Antecdotally, some of the lower elevation ranchers I've spoken with in the last several weeks reported that the grasses on their shallower soils were starting to show signs of heading out. 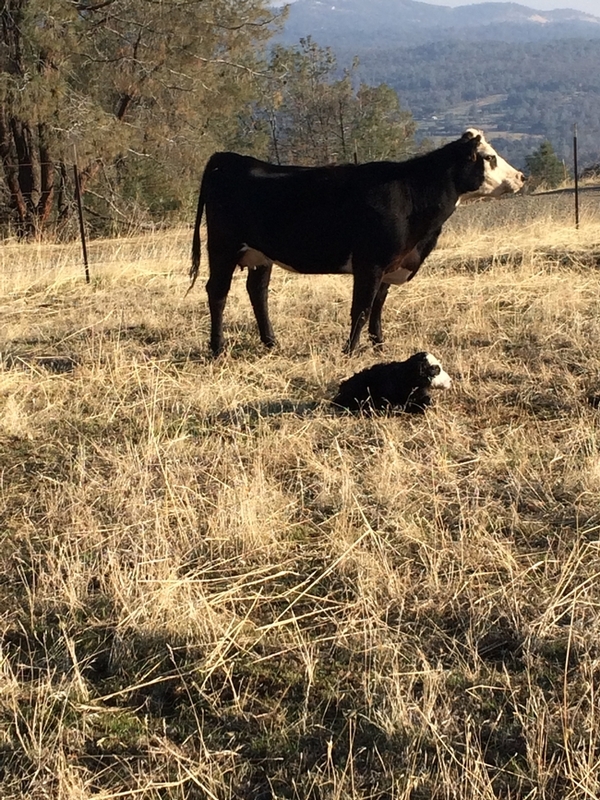 And talking to friends who ranch in other parts of the state (especially the Central and South Coasts and the San Joaquin Valley), the grass in our Sierra foothills is the exception rather than the rule this year. Some parts of the state do not have any green forage at all. So what can we do with these numbers from a practical standpoint? I use the monthly numbers for planning purposes - a dry, cold autumn followed by a dry December and January means we'll be tight on forage in February (like 2013-14). Conversely, adequate moisture and warmer-than-usual temperatures (like last year and, at least in our region, this year) means extra forage in February. I also use the peak standing crop information to plan for summer and fall grazing. If we know how much we've grown, we can ration out our dry forage and make sure we leave enough residual to protect the soil when the rains start again in the fall. 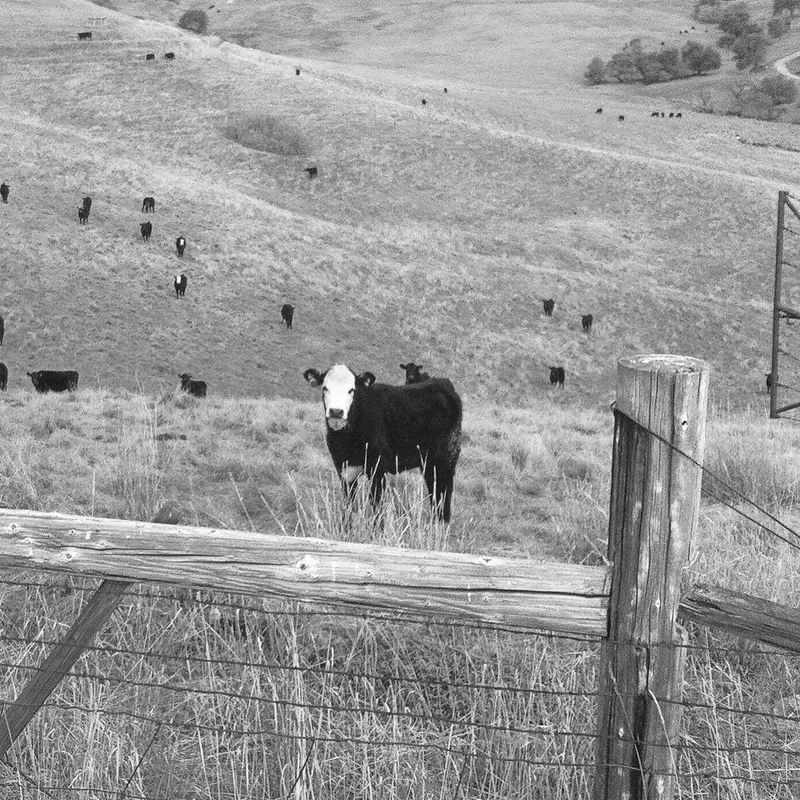 Experienced ranchers, obviously, know the difference between a good grass year and a poor one. The data collected at SFREC helps put numbers to this variation - numbers that can help all of us become better managers! February 2018 near Auburn - and much more grass than usual!